Our loopback adapters come in both singlemode (9 micron) and multimode (50 micron/62.5 micron). 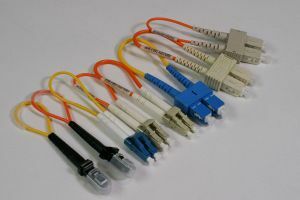 They also come with different types of connectors including LC, SC, and MTRJ. Loopback adapters contain two simplex connectors, one is to be connected to the input port and another to the output port. These devices are usually designed for testing fiber optic transmission capability and receiver sensitivity of fiber optic network equipment.